It was the Christmas season. As I walked down the long corridor admiring the festive holiday decoration, I noticed Virginia. She appeared restless and agitated. As I passed by her chair on my way to the craft room, Regina leaned forward and reached out to me with her small, delicate hand. Moving close to her and taking her reaching hand into my own, I bent down and looked into her eyes. “OK,” I said. From the urgency of her expression and the firmness of her grip, I knew the answer to this question was deeply important to Virginia. I also knew, instinctively, that in this moment, the answer to her question was YES. “Who’s telling you this?” I asked. “Oh no. You mustn’t tell then,” I said, reinforcing her choice to protect the doubters. “Just keep believing.” I repeated this over and over like a mantra. She let go of my hand and sat back in her chair with a sigh of relief, peaceful at last. Virginia is not the real name of the one hundred year old woman who asked me if Santa is real. I didn’t know her name when we spoke. It’s possible that she didn’t know her name either. Virginia lives in a nursing home on the same floor as my mother. Both women suffer with Alzheimer’s Disease. Receiving a question about Santa’s existence from a woman who is one hundred years old caught me by surprise, and at first I wasn’t sure about how to respond. Very quickly, however, I remembered the importance of being present in this moment and the healing implications of meeting person’s with Alzheimer’s in their current reality, which for Virginia might have been Christmastime, 1915. As I reflected on my conversation with Virginia, I realize it was both an endearing and a profound experience for me. After I left her and walked on toward the craft room to work on a project with my mother, I noticed that I felt better, too…. more peaceful, more joyful. I also felt inspired. From the intensity of her question, Virginia could have been asking me if there is a God. 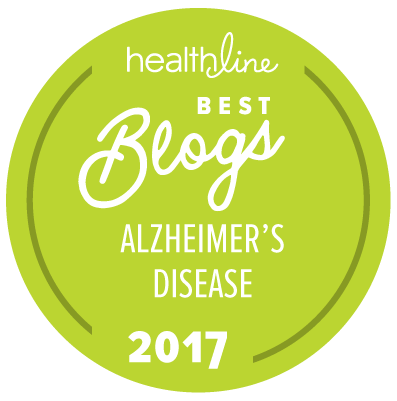 Given the course of Alzheimer’s Disease, every person afflicted with Alzheimer’s and their families and friends touched by this illness might have wondered about this from time to time. Or, out of her history and the circumstances of Virginia’s life – or any of our lives – we might sometimes wonder if there is really a reason to hope – or if there is justice or love, or if there will ever be peace in the world. We all might have doubts. Everything about this encounter was a surprise for me: the question of Santa’s existence posed by a woman one hundred years old; knowing with certainty that “Yes” was the healing answer; and the power of my own words to bring comfort to Virginia in a time of confusion. Mine was a faithful reply: In the face of doubt and fear and resistance, just keep on believing in all things good. After Mom went to bed, I looked for Virginia to say good night, but I couldn’t find her anywhere. I’m hoping she slept peacefully that night, still believing in the Good Giver of Gifts. I did.